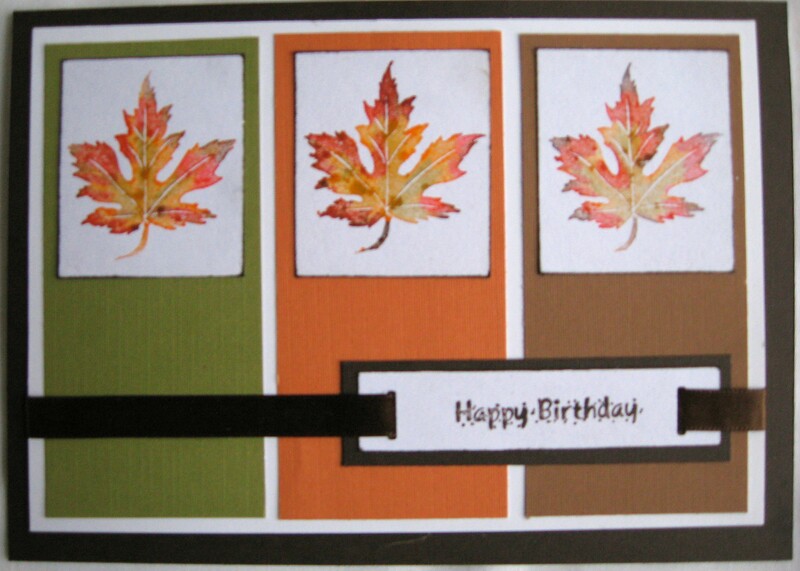 The challenge was to create a card with the three colors: green, orange and brown. I liked the way they were set out for the challenge in block form so I went with that. I used a leaf stamp I had in my collection. That was called Small Maple Leaf/Bold from the Embossing Arts Co. I used my watercolor inks to color the stamp to get the different looks - but mostly same colors... just the addition of yellow. I used Tombow watercolor markers (Groovy collection). I love how you did the stamping! OMG you colored those leaves. They rock. I love that you did the block with the colors....why didn't I think of that (just might have to lift that).